Chicken Rice Was craving for some chicken rice and this was the first stall I saw. 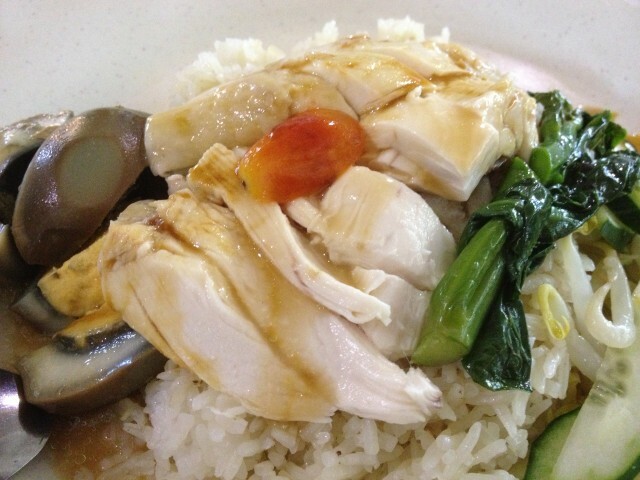 It is $3.50 for a plate of chicken rice with egg. I was quite surprised at the presentation as it looks completely different from the normal chicken rice. 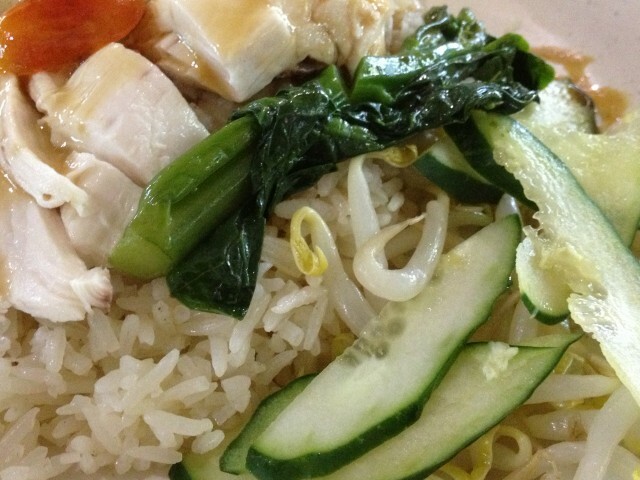 It was presented in a more pleasant and appetizing way with more colours added to the chicken rice. 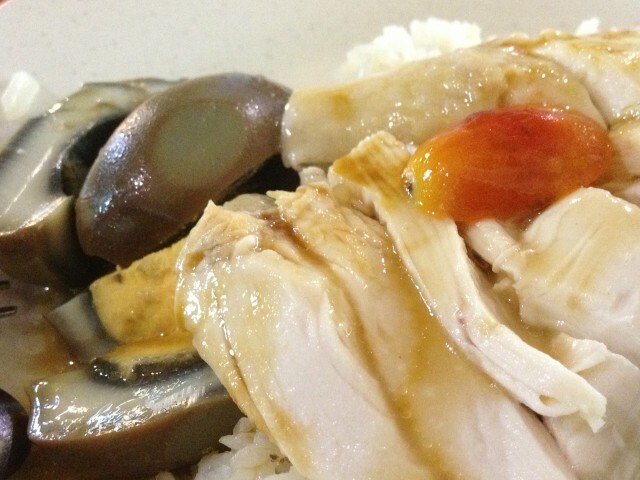 Other than the standard cucumbers found in chicken rice, there is also half a cherry tomato topped on the plate of chicken rice in the middle. Furthermore the sauce used is of a different colour and there is also the bean sprout and another kind of vegetables included. Even the egg added looks really different too. 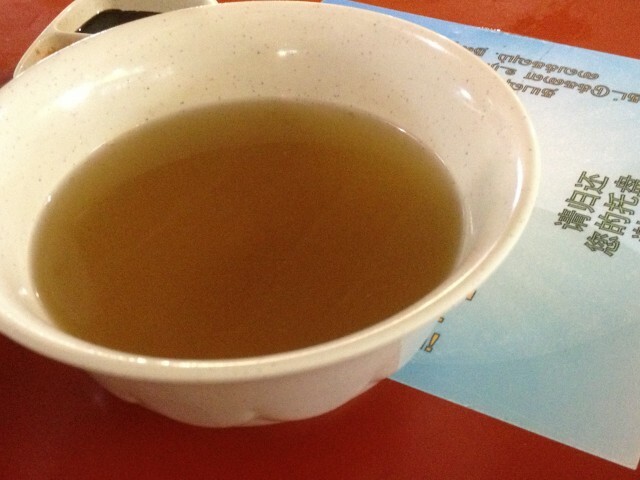 First tried was the soup and it taste peppery, quite similar to bak kut teh. The chicken rice itself tasted a bit weird though. 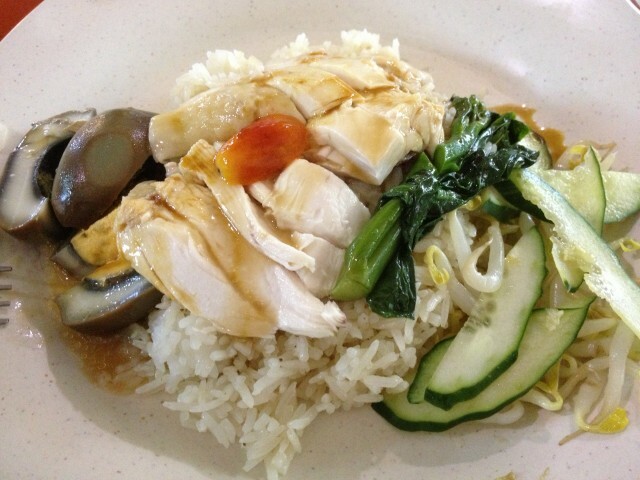 Probably too much is added to the chicken rice which made the whole dish taste weird? The rice with the sauce is more like rice with light soya sauce. The chicken is quite tender though and taste nice. But have got to say the side ingredients do not really go well with the whole dish. The egg we added is a little weird too :/ Overall the chicken rice is really creative and special but it does not complements the whole dish.